These jewel cases let you keep your mini CDs safe from scratches, dust, and other substances that can damage your discs. 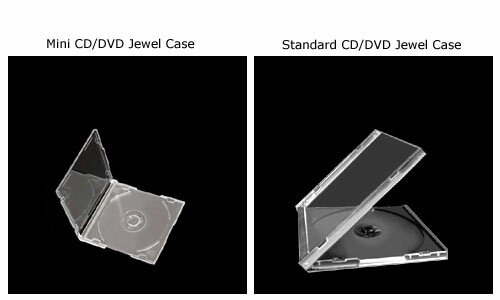 Each case holds 1 Mini 8cm (3") CD / CD-R, DVD / DVD-RW or Business Card size CD. With title insert card slot behind front cover. 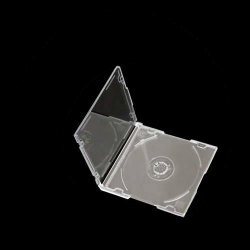 Perfect storage case for Sony Digital Mavica CD200, CD250, CD300, CD400 & CD1000 camera CD-R. CANNOT COMPLAIN ABOUT ANYTHING. SERVICE IS EXCEPTIONAL. 10 OF 200 CAME BROKEN BUT CUSTOMER SERVICE SENT 10 REPLACEMENTS OUT WITH NO QUESTIONS ASKED. SUPER PRICES, SUPER PRODUCT, SUPER SERVICE!!!! i like these a lot better then the black ones. the clear are just a much nicer look. very good deal. took a little more then a week to receive, but that's my fault b/c it's coming across country and it was 5 business days not 5 days. All in all, i'm thoroughly impressed with the quality. Very nice and i'll be buying again.